I'm not familiar with the program in your screenshot. I suggest you try using Source's built-in particle editor. 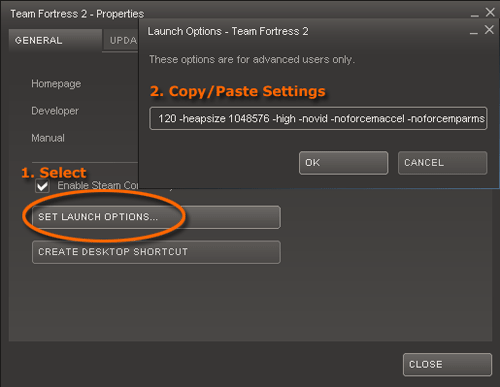 To access this you can go to your game's advanced launch options and add in the -tools parameter, then launch the game. The my game piracy, you give me a ParticleEditor? Last edited by usa long live; 04-20-2013 at 10:57. Navigate to your steam games library, right click one of your games, select properties, then click set launch options and type -tools in the box. I only use the official particle editor. I don't have any third party editors to recommend for you. Last edited by Sreaper; 04-20-2013 at 11:30. Has anyone actually had success using burning_character? For all other particle effects I have ever tried you can parent them or place them fine but this one does not appear to behave. Last edited by Sreaper; 07-21-2013 at 18:52. The Team Fortress 2 particle list is now completely up to date. Happy Halloween! Last edited by Sreaper; 10-31-2013 at 21:05. The Team Fortress 2 particle list is now completely up to date. Last edited by Sreaper; 06-24-2014 at 00:20.